On account of it being World Ocean Day yesterday, I wanted to surprise my readers with something straight out of my travel journals. Yes! There are a few stories and moments I hold onto and keep to myself, they’re both sacred and almost never make it to this blog. But that might change and here’s a treat. It relives the memory of my first scuba dive in the Andaman Islands somewhere off Havelock. Enjoy! 5.30 am and we’re heading to the Andamans Dive School at Havelock Beach no 1. It’s beautiful and calm today. 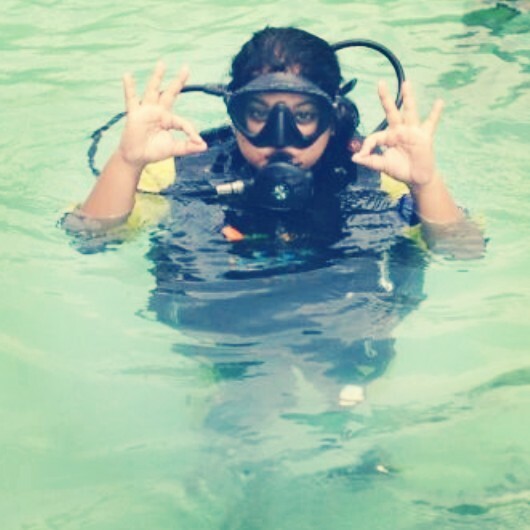 The chief diver Hari, takes us through some breathing exercises and hand signs to communicate whilst underwater. 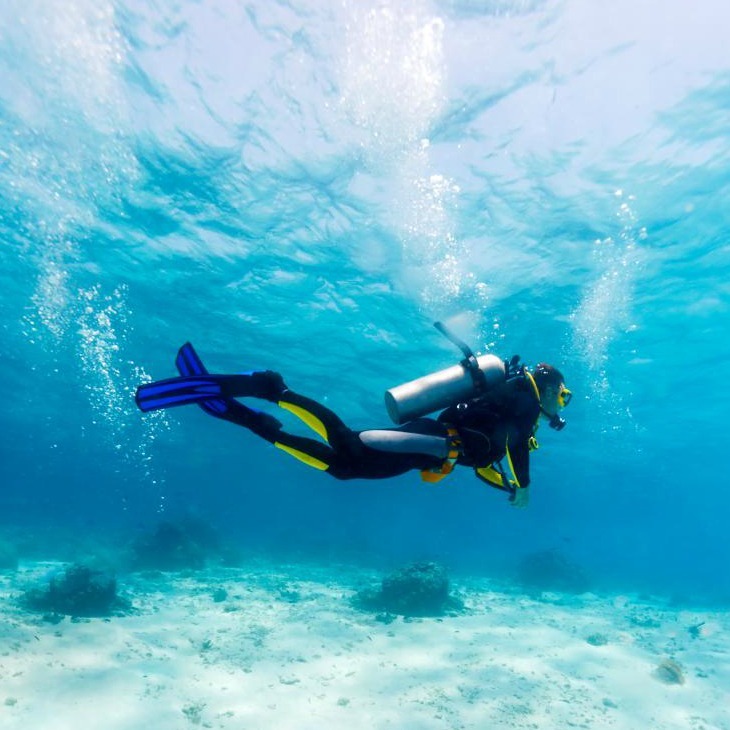 They teach us to use the buoyancy control device (BCD) and how to inflate to rise and deflate to sink. And it’s finally time to DIVE!!! Hari had a calm personality that resonated immediately over us anxious bunch. I realised much later that it only came from his years of diving experience. With a final adjustment to our oxygen masks, we flipped over board our boat and plunged straight into the blue. Took a quick few seconds to acclimatise while sinking and to equate my ear pressure. Hari kept checking to see if all was okay. It was. It was more than okay. I was in instant zen and bewildered by a universe different than our own, beautiful and exotic. It immediately felt meditative and therapeutic. I’ve tried different forms of meditation in the past but nothing with such excellent results. Imagine hearing yourself breathe and hearing yourself think when all you can see is a magical splash of colour every-time a school of fish swam by amidst this deep blue sea you’ve surrounded yourself by. 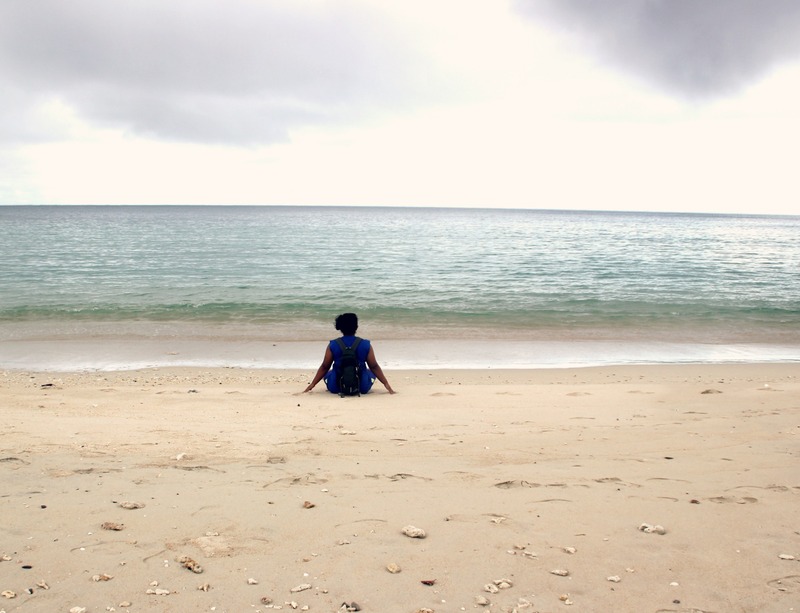 A rush went down my spine when I sat down 30 feet into our descent onto the ocean’s sand bed. It was nothing short of spectacular and almost unreal. The one-ness with the ocean comes naturally after 5 mins of being in, but then again 45mins can seem like 5mins underwater, because you lose track of time and space and are left in absolute bewilderment. I didn’t even want to leave after 50 mins and an almost depleted tank of oxygen. I’ve never felt so calm and peaceful and at ease with myself where all I hear is my breathing and my thoughts. But I have to be honest and tell you.. that even though this incredible world beneath our world had me mesmerised, the most beautiful feeling is swimming up to the surface. That exact point just before your head hits the water to come up above, is almost poetic and brilliant.The warm sunlight greets your wet skin to keep you warm. One of the most splendid sights I have lived to see and feel ever since I first started travelling. 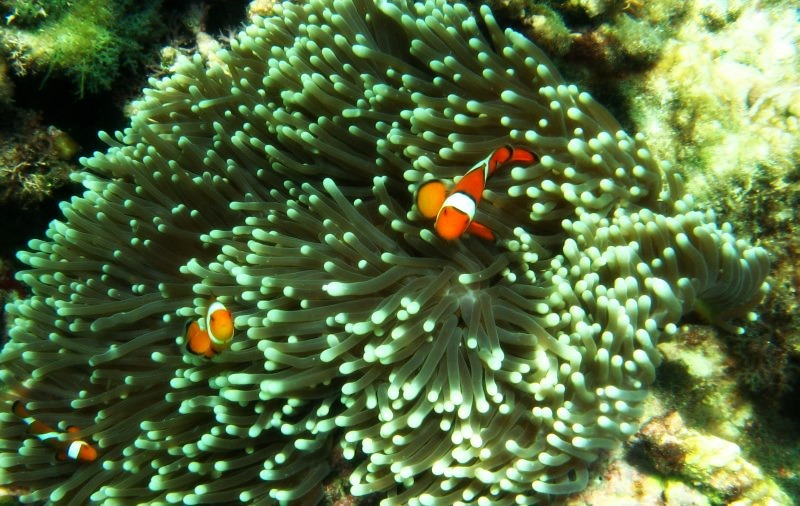 This entry was posted in Adventures, Latest Articles and tagged Andaman, Andaman and Nicobar Islands, Andaman Islands, Andamans, Environment, Finding Nemo, Havelock, Havelock Beach, Havelock Diving, Scuba Diving, Scuba Gear, World Oceans day. Bookmark the permalink. What a wonderful experience! I think it is important to do the things that we enjoy and help us to balance and centre ourselves. Wow I would love to do this but I have a real phobia of the sea and especially fish!! I have been contemplating to do scuba diving. Now that I read your post, I almost want to do it. You paint a wonderful picture of a calm, beautiful experience. Thanks for sharing! What a lovely journal entry, I must admit I have not thought much about the world beneath our own.